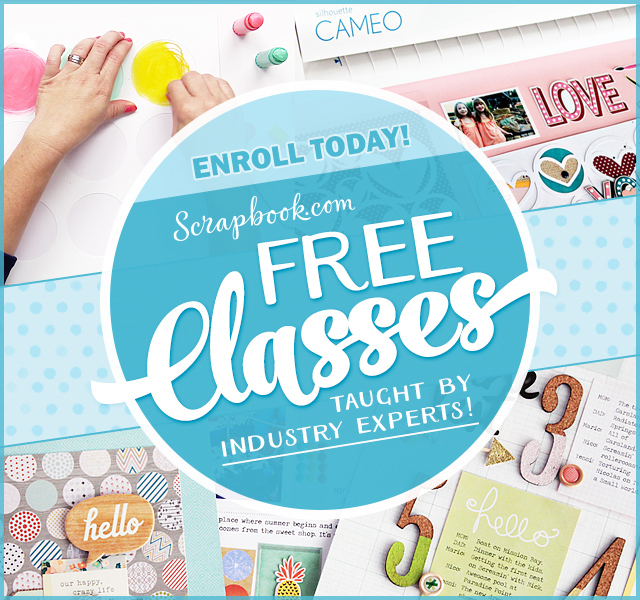 As May approaches Graciellie Design gets ready for a brand new release but May is going to be an extra fun month because it is my birthday! 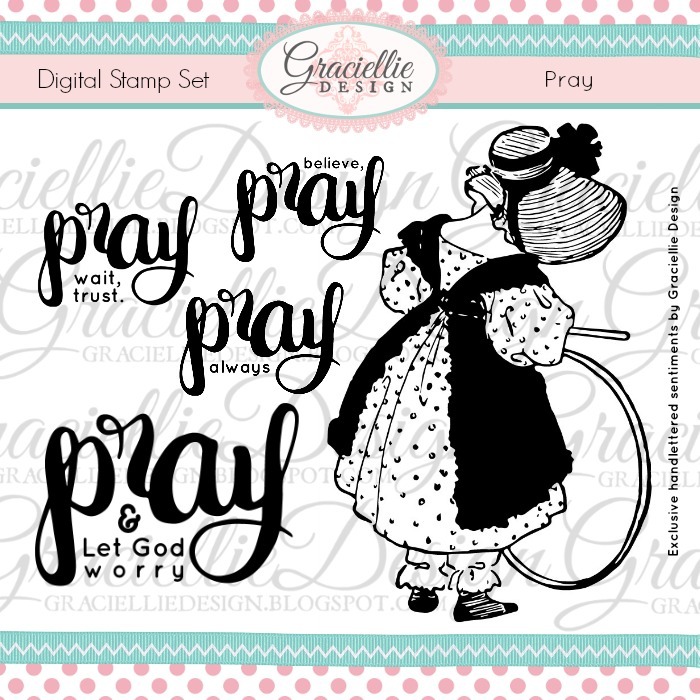 To celebrate I put together a very special stamp set that includes a bonet girl (that I absolutely love) and handlettered sentiments! For the first time I digitalized my handlettering and decided to create this set and share it as a pre-release! So yes, Pray is now available on the shop! The set includes 2 versions of the bonet girl, the one you see in the cover and a second one that allows you to color her dress, do paper piercing and more! 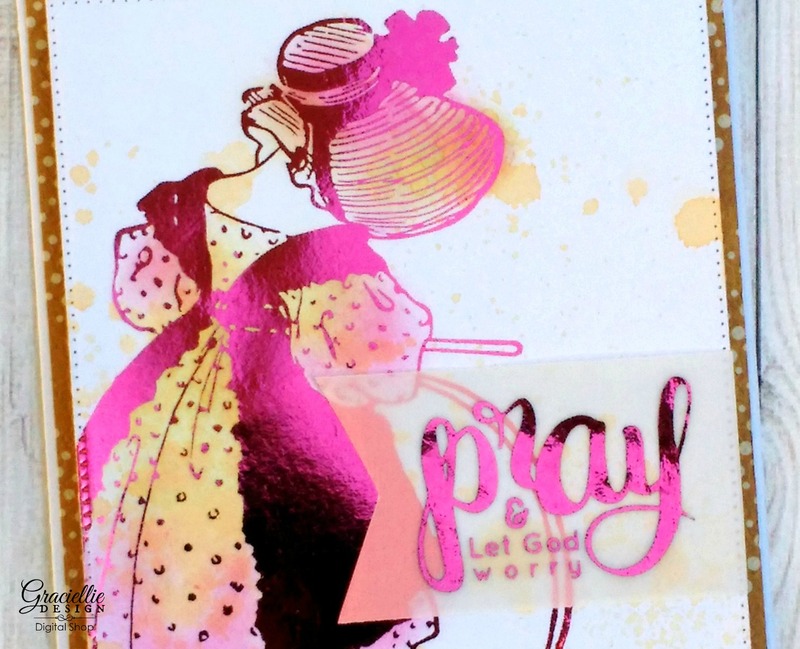 For my card today I decided to foil this sweet girl and color her wish splashes of ink spray. 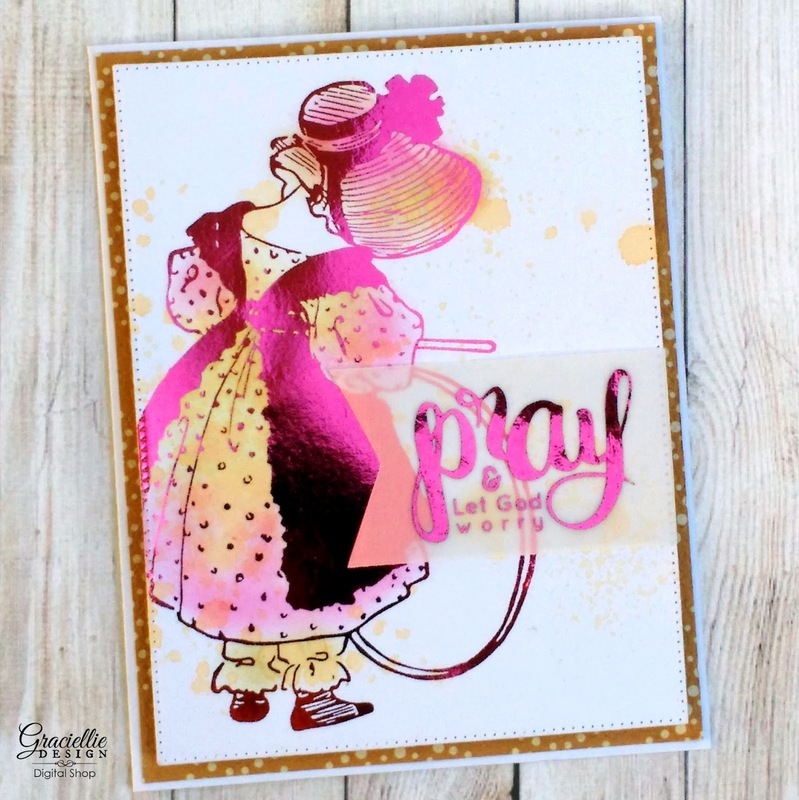 The images foil beautifully, and gives the card a store-bought look. Today is the beginning of our May pre-release so starting tomorrow the designers will all be sharing their take on this new sweet set. Make sure to join us, as we share on our blogs and social media throughout the week. If you love this set help us share the excitement and leave a comment so we know what you think. 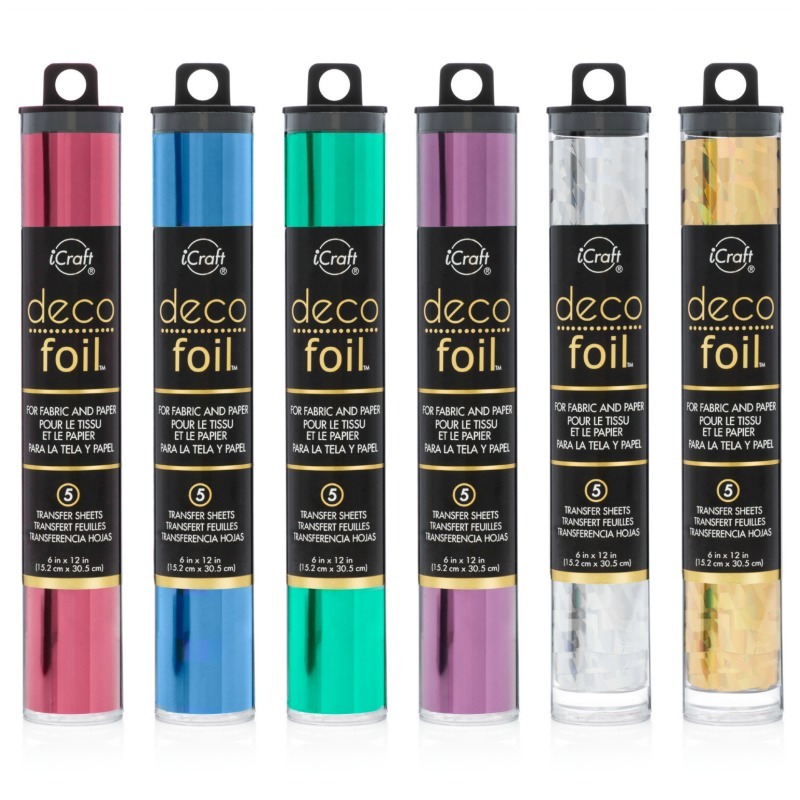 For more details and to get this set now visit us at the shop here. Thanks so much for stopping by! Awesome card!. That digistamp are beautiful. Wonderful card. Love the image and colours. This is a lovely pattern that you have created here. Thanks a lot for sharing this with us. Good effort mate.